Department of EnergyThe ultrasonic dryer. 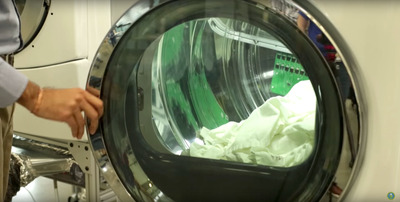 But scientists at Oak Ridge National Laboratory in Tennessee have developed a dryer that could make doing laundry much quicker. Called the ultrasonic dryer, it’s expected to be up to five times more energy efficient than most conventional dryers and able dry a large load of clothes in about half the time. Americans spend a total of $US9 billion each year — up to 4% of America’s total residential energy use — on electricity to power dryers. If the ultrasonic dryer becomes commercially available, it could therefore save energy and money. The drying technology also leaves less lint behind than normal dryers do, since the majority of lint is created when the hot air stream blows tiny fibres off of clothing. Drying clothes without heat also reduces the chance that their colours will fade. 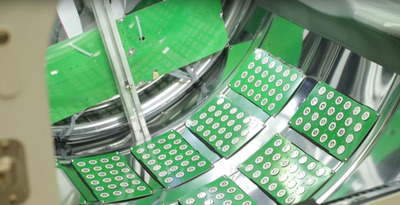 Department of EnergyTransducers inside the ultrasonic dryer. The team has been working with General Electric and the Department of Energy (DOE) to develop the ultrasonic drying technology, a process that has thus far taken two years. The DOE has devoted $US880,000 in funding toward the project. As of now, the researchers have created a working prototype, but the dryer won’t hit the commercial market for at least a couple of years.